If only life were that easy. Stay in the lines, every color a number, every stroke a proper spot, a predestined image takes form, et voila – your life…pretty as a picture. Well it’s not that easy, who wants easy anyway? I sure wouldn’t want it all the time, what a bore it would be, but now and again, it’s so wonderfully comforting to come across a song, or an aroma, a memory or an object that takes you back a decade or two. That nostalgic connection can feel so expansive – so uncomplicated…not unlike those paint by numbers kits. What fun I had, what a sense of accomplishment – not beautiful exactly, but beautiful to me. Paint by Numbers …think again . I left with it. 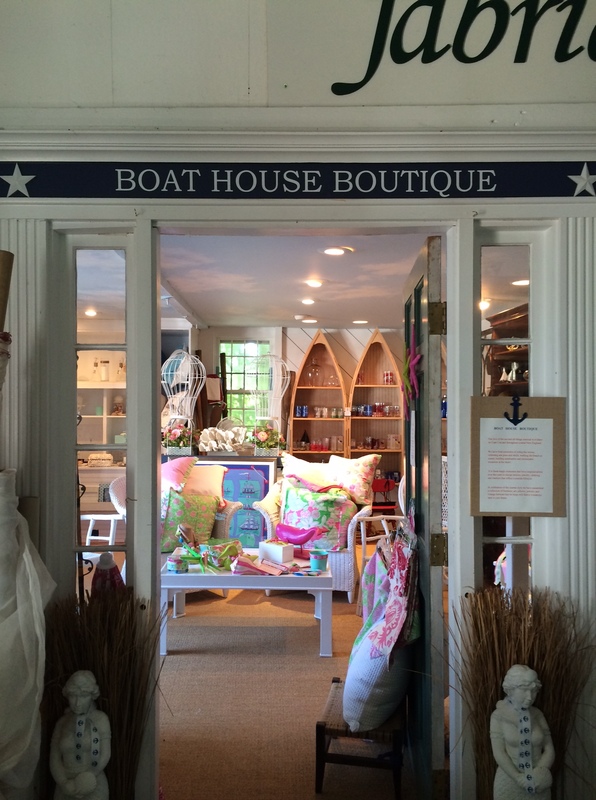 To my surprise and delight, Helen Baker of Design Discount Fabrics, 94 Main Street, West Harwich, Ma has created the Boathouse Boutique, a tiny annex inside her design HQ, which is charming with its vintage finds, and furnishings of her own design. 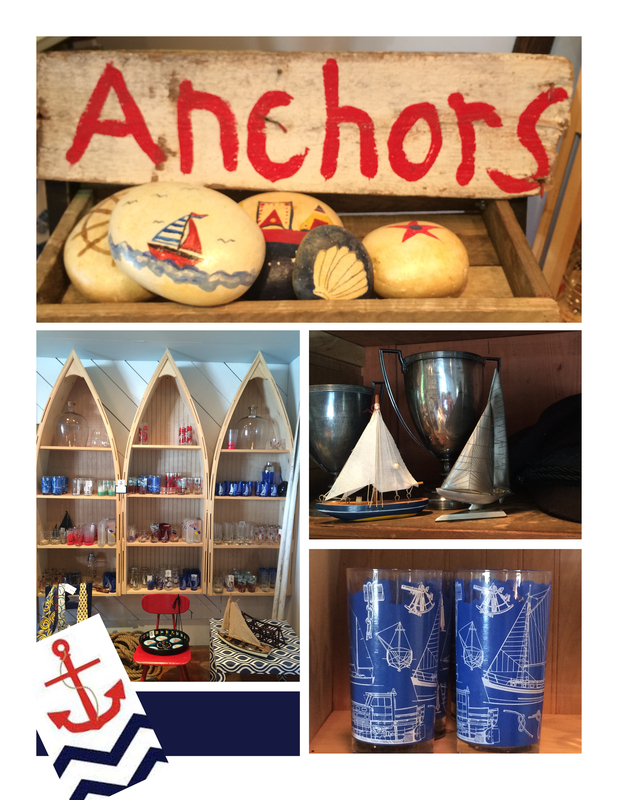 Her nautical glassware collection took me back to a boathouse we bought on Herring River in the 70’s – glassware and all, and one of my very favorite boats – The Curlew a two mast, Slip Jack Ketch. She too came equipped with nautical glassware that would have made a fine accompaniment to Helen’s collection. 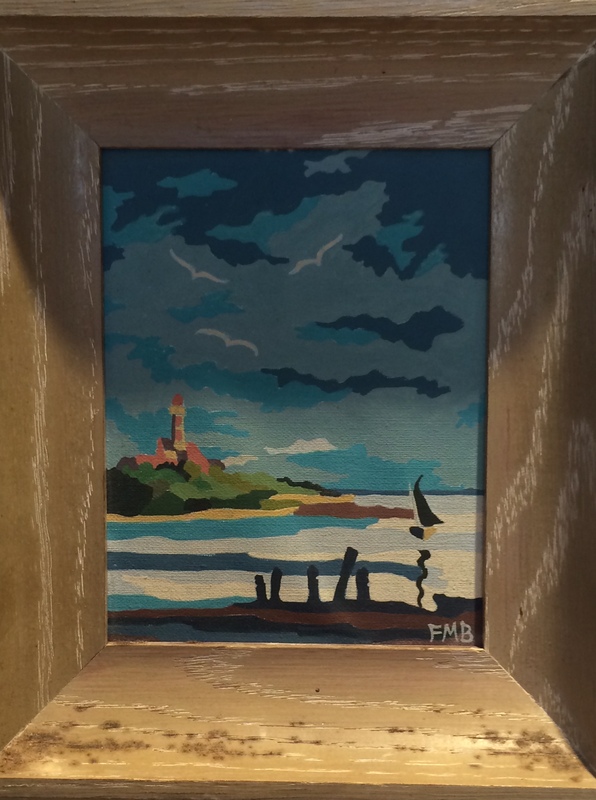 From the quirky, think painted rocks – perfect paper weights or door stops in whimsical seaside themes, to the nautical chic – framed vintage Hermes Scares, fitting whether you summer in St. Tropez or Buzzard’s Bay, as long as you’ve got the dough, they’re ready to go. I would be remiss if I didn’t mention that in addition to Helen’s fetching boutique, she is a wonderful interior designer, and was a savior, in the height of summer, when I needed curtains fabricated for The Surf Shack. The light in me shines at the light in you – except in the bedroom where your brilliant blackout lining ensures not a sliver of sunshine slips through. A gal needs her beauty sleep after all. Thank you for that. « L’ete Sans Fin: Summer without end?